In order to ensure that your child is staying on track where their growth and motor skills are concerned, you have to uncover what is typical of children in their same age group. 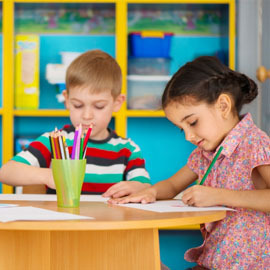 First Class Child Development’s staff is more than knowledge on the gross motor development stages and therefore will be able to tell if your child is leaps and bounds ahead of their peers or if perhaps they need a little extra help. In order for you to be able to do the same, you can discover the markers that will let you know where your child should be in regards to motor skills and where they are headed. This is typically the time that most parents experience their child saying their first words or taking their first steps. Often babies will begin pointing at things they want or they wish you to take notice of at this age. At this point your baby can use markers or crayons to scribble on paper. This will help to improve his/her fine motor skills. Your little one is likely to be throwing fits around this milestone as this is the time when they begin teething. 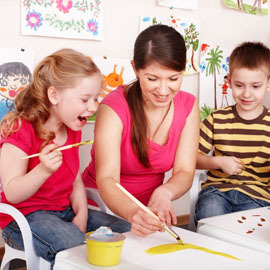 As your child’s motor skills improve, consider enrolling them in a Mommy and Me class for art, music or tumbling to continue improving their skills. If your little one is walking with vigor by now, allow them to practice more advanced motor skills like running, jumping, climbing and kicking (with supervision, of course). Many parents cite the 18 month mark as the time when their kid begins talking up a storm. 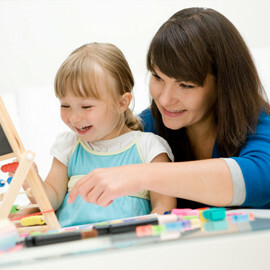 Just wait to hear what sorts of things your little one is thinking about. Check back with us soon to discover what other changes will occur as your child ages and becomes more proficient when it comes to their fine motor skills.